Periodontal disease comes in many shapes and sizes, requiring specific kinds of procedures and prevention methods. There is cheap dental coverage available for periodontal disease, but you have to know where to look. Treatment varies greatly with each individual case, but a general knowledge of periodontal disease could help when discussing your options with your dentist. What If the Treatments Are Not Maintained? Why Do People Not Receive Regular Treatments? Periodontal disease, in its early stages, is known as gingivitis. When plaque builds up on the surface of the teeth, it attracts harmful bacteria that can creep under mouth tissue. The gums become red and swollen, and they can bleed easily. Gingivitis is usually not painful and may be reversed by employing proper oral care methods. A dentist can thoroughly clean the affected area to prevent further infection, and provide helpful tips on how to prevent it in the future. If plaque advances below the gumline, gingivitis can quickly escalate into periodontitis, the more serious periodontal disease. Toxins from the bacteria spread infection and irritate the gums, which become inflamed. If periodontitis remains untreated, the gums can eventually separate from the teeth as the disease eats away at tissues and tooth structure. Aggressive periodontitis – People who are otherwise clinically healthy can experience this rapid bone destruction and gum separation. Chronic periodontitis – This most common form of the condition occurs prevalently in adults, resulting in inflammation and bone loss. Tissue separation occurs slowly with occasional bursts of rapid progression. Necrotizing periodontal disease – This is characterized by the premature death of living tissue causing lesions in the gum, ligaments and bone. It is most commonly seen in conjunction with malnutrition, immunosuppression or HIV infection. Systemic disease manifested in periodontitis – This form is actually linked to another systemic disease in the body like diabetes or cardiovascular or respiratory diseases. In these cases, symptoms often begin at a young age. Due to the multiple forms of gingivitis and periodontitis, treatment options can vary greatly depending on the severity of the damage. One option is to research dental coverage that could help reduce the cost. There may be additional costs for an examination and the cleaning of excess plaque buildup. It is most important to have the treatments performed on a regular basis. 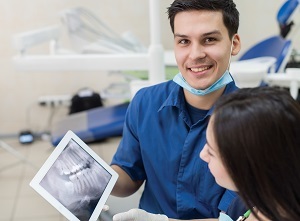 Many dentists will recommend a scaling and root planing at least every six months for patients with this disease, while prescribing them regular maintenance every three months. Although the treatments are expensive and affordable options are scarce, a mouth left untreated will be much worse off in the long run. If left untreated, the disease will spread from one area of the gums to the entire mouth. The disease will cause both your gums and the bones of your jaw to deteriorate to the point that your teeth will fall out. The number one reason people are not getting their regular maintenance performed is the high costs involved. Periodontal work, whether performed by a general dentist or a periodontist, is quite expensive. The frequency of necessary periodontal maintenance along with a lack of affordable care, can make routine maintenance out of reach for many Americans. Your family members have periodontal disease. Contributing bacteria can travel through saliva, so if one member has it, children and couples are at risk as well. You may even be more genetically inclined to it if your parents have it. Flossing reaches down into the gums and between the teeth to remove hidden debris. Otherwise, it builds up and hardens, attracting bacteria. Your toothbrush and floss can only reach so far. A professional cleaning once or twice a year can remove tartar and calculus from hard-to-reach places. You are an older female. Studies show that your chances of getting periodontal disease increase with age. Women also face a higher risk than men because fluctuating hormone levels affect oral tissues. Aside from the occasional irritation, your gums should not bleed on a regular basis. Smoking, chewing tobacco, overeating, excessive consumption of sweets, and the use of antidepressants can dramatically increase your chances of developing periodontal disease. If you are worried about developing periodontal disease, you can defend your mouth! To fend off this condition, consider quitting some of these health-threatening habits, and choosing healthier foods -- your mouth and your body will thank you. Preventative oral hygiene is often the most affordable dental care for the prevention of periodontal diseases. Here are some practical steps to establish the proper hygiene that can help prevent the onset of this condition. Brushing. Brushing in the morning, after a meal, and before you go to sleep is a necessary pattern to establish if you are experiencing this disease. While a large amount of brushing may seem like a hassle, this daily pattern can save you a large amount of time at the dentist office and keep dollars in your pocket -- the hours and money you can save are good reasons to put in this extra effort! Flossing. Though flossing may seem difficult or inconvenient, many dentists equate the unsanitary effects of not flossing to not cleaning between your fingers when washing your hands! Flossing is essential -- those who do not floss may accumulate a tooth-threatening amount of decay in the future. Swishing Mouthwash. Though dentists agree that using mouthwash cannot substitute for brushing, it can make a noticeable difference in your effort to regain control of a mouth overrun by decay. Be sure to use a mouthwash with zinc chloride. Most mouthwashes use a form of alcohol to kill bacteria in your mouth, but this alcohol ingredient alone does not necessarily cleanse your mouth from the bacteria that can lead to periodontal disease. Once patients have been diagnosed with periodontal disease, they may want to investigate a few treatment options at their dentists. Many dentist offices, however, do not offer cheap enough care for patients to manage, in a time when deep cleanings and gingivectomy procedures cost thousands of dollars without an affordable dental care plan. Patients with such a plan may find better rates at their dentists, who can offer effective treatment for this condition. Periodontal disease is only caused by lack of oral hygiene. False. Poor oral hygiene can definitely contribute to the problem, but it’s not the only factor that can impact your risk for this condition. Smoking and other forms of tobacco use greatly increase your chances of developing both gingivitis and the more serious periodontal disease periodontitis. A poor diet and stress can contribute as well. Some people simply have it in their genes. Don’t abandon your daily oral routine, though, and don’t discount your dentist’s recommendations, because proper hygiene still plays an important role in warding off gingivitis. Flossing daily is not necessary. False. Flossing every day can help clean between small spaces your toothbrush can’t reach. Those small spaces are also a favorite breeding ground for bacteria, so keeping them clean is vital. However, a mere 13.5% of Americans floss daily, a recent survey reports. It’s not a big deal if my gums are bleeding. False. Swollen, red gums that bleed frequently could indicate the presence of periodontal disease. If your gums frequently bleed when you floss or brush your teeth, see a dentist. The periodontist office will be scary. False. Periodontists are dental specialists who are experts at treating periodontal disease. They have received several years of additional training following dental school and are specialized in preventing, diagnosing and treating the problem. They use innovative tools and technology to provide the best care possible while doing their best to make sure your visit is comfortable. If I lose a tooth in the process, it is irreplaceable. False. If you lose a tooth due to periodontitis, though you may not save the original tooth, modern dentistry offers several viable replacement options, many of which are eligible for discount rates. One of the most effective is known as a tooth implant. A metal post is inserted into the existing bone structure, and a prosthetic tooth is attached once the rod has bonded with the bone. Other options include bridges and partial dentures. Despite its ominous reputation, gingivitis can arise due to many factors which may or may not be under your control. Prevention is essential, but if you are already dealing with this disease, it’s not too late. Knowing the truth about this condition can help you understand what you may be facing. Periodontitis can lead to more costly issues like heart disease or diabetes, so it is important to catch it early to protect both your financial health and overall wellness. Find a quality discount dental plan to help reduce the cost of treatment, and see a periodontist as soon as possible.